It is nearly time for another challenge and I have only just created something for this #15. If you have not already done so please pop over to Patter's blog HERE and read her teaching on the theme for this challenge. "People are not your audience, God is." This is something that Patter shared on her blog and it is to true and yet I so often live my life the opposite. I live my life as though I am trying to please the world but no, that is not what the Lord is saying to me. I need to take hold of the scripture I have used on my digital artwork. 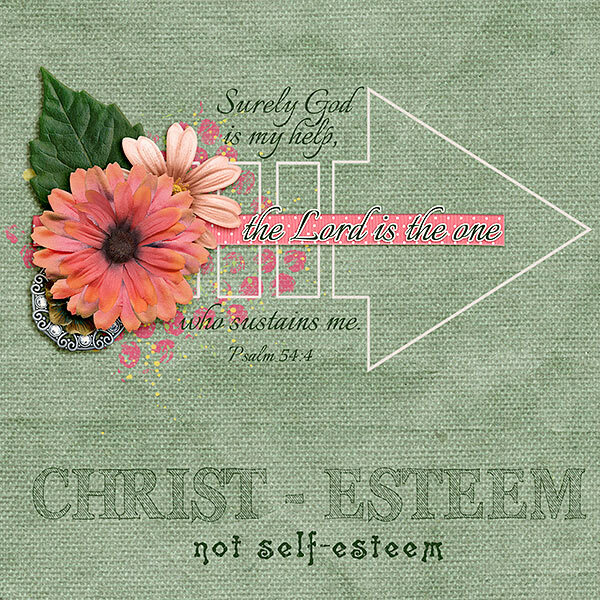 I need to look to the Lord to sustain me - not me sustain myself. for my artwork I used products by Lori Imel in her kit called "Summer in Bloom" and the paint splatter is by JIC Creations from Summer Fun. Beautiful. LOve the flower and the backround arrow.